Before the dream ballet was a cliche, it was an innovation. And the mother who birthed the form was choreographer Agnes de Mille. It seemed to many that Miss de Mille was destined for greatness since birth. Her grandparents were playwrights, her father was a film director, and her uncle was thee Cecil B. DeMille— movie magnate responsible for lavish epics throughout the first half of the 20th century. But, despite her family’s abundant financial successes, Agnes swore she never took a handout. She did, however, benefit from some slight nepotistic reward. In 1933, when Agnes was 28-years old, Uncle Cecil put her to work as choreographer on his film Cleopatra. Unfortunately, she couldn’t make nice with her uncle’s de facto dance director. When placed between, Cecil deferred to his go-to guy; his niece was shown the door. Never one to wallow, she promptly moved to London. She made a home for herself there until the German Luftwaffe readied their arsenal in an attempt to bring the city to its knees during the Second World War. To dodge the bombs, she flew back home to the US, only this time she did not return to her native California. No, on this journey she was eastward bound. And not long after she arrived in New York did she begin her association with the Ballet Theater (known today as American Ballet Theatre). It wasn't, however, until 1942 that Agnes struck gold. The Ballet Theater had commissioned de Mille to choreograph a new piece composed by Aaron Cropland. 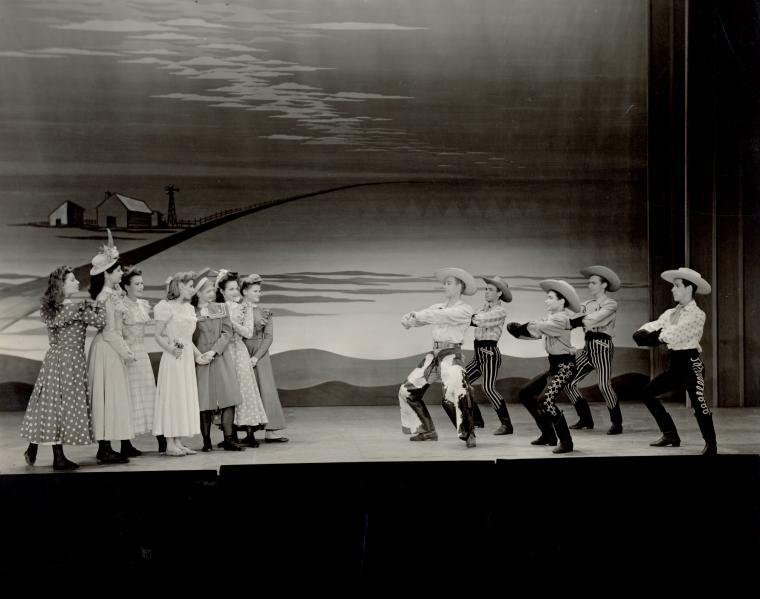 Called simply "Rodeo", the work premiered at the Metropolitan Opera House in October of 1942. Not only did Agnes de Mille choreograph the piece, but she also danced the leading role. The critics adored it. 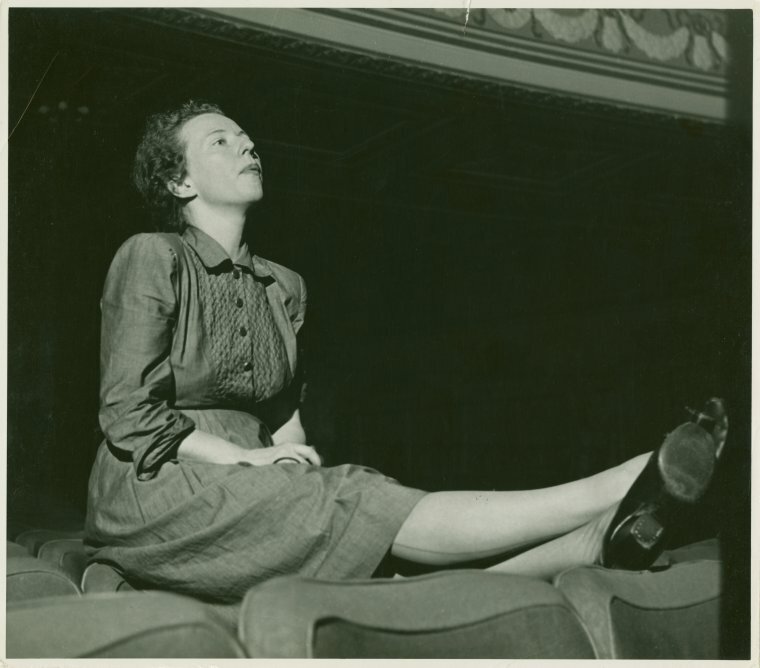 The New York Times proclaimed it a, “Heartwarming piece full of flavor, effortless, and extraordinarily well composed.” They went on to say that, “In nothing she has previously done has Miss de Mille exhibited so much pure choreographic skill and resourcefulness.” For her efforts, the corps de ballet was awarded 22 curtain calls at their premiere. If you can believe it: Richard Rodgers, Oscar Hammerstein II, and Teresa Helburn just happened to be in attendance that evening. Needless to say, they liked what they saw. For their new adaptation of Green Grow the Lilacs, they were toying with the idea of concluding act one with a ballet. It wasn’t necessarily a new idea— Richard Rodgers had been one of the first composers to tackle ballet on Broadway in On Your Toes. But those dances— the “Princess Zenobia Ballet” and “Slaughter on Tenth Avenue”— choreographed by the much-esteemed George Balanchine, were extraneous to the plot. For the musical version of Lilacs, the dance would be of equal importance to the book. "Rodeo", with its simple cowboy love story, was tonally comparable to their ideas. They sent her a telegram that very night. They wanted to meet with her on Monday. Although she was deemed a worthy collaborator, her compensation reflected her experience. She was awarded $1,500 for six weeks’ work and $50 per week for the first ten weeks after the production recouped its investment. (If my math is correct, that’s a $2,000 cap— which is equivalent to $31,000 when adjusted for inflation. On Broadway today, a choreographer’s median salary is $37,500. Those numbers seem to have held a standard!) But Agnes knew the money barely mattered; this was her big break. After having been played the score just once, she went out on tour with the Ballet Russe in Monte Carlo. She brought with her a notebook labeled “Lilacs” and began to dream. What de Mille had set out to do, she had done. Her mission was accomplished.